Fine Tubes, leading global manufacturer of precision tubing products for critical applications, is one of the six founder members of the Plymouth Manufacturers’ Group (PMG). 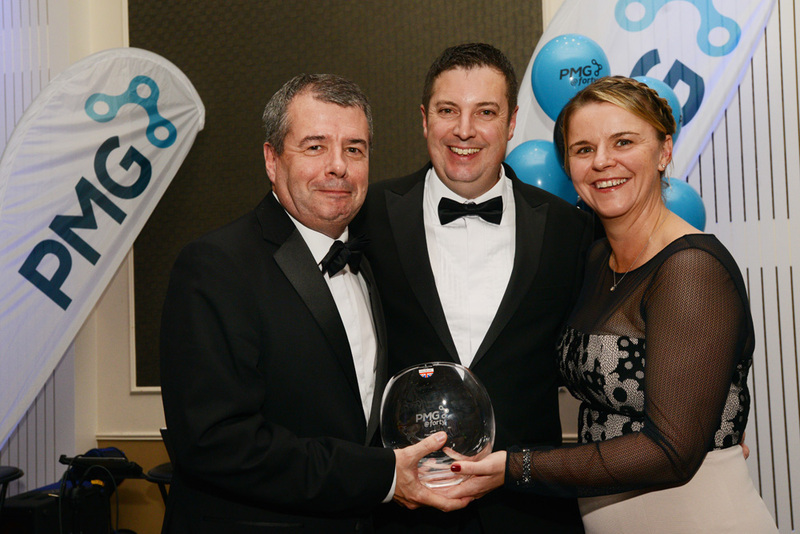 During the PMG’s 40th Anniversary Black Tie Ball, held in the city’s Crowne Plaza Ballroom, Fine Tubes was awarded a crystal vase in recognition of being a founder member as well as its support to the group over the past 40 years. Operations Director, David Cawse, and Quality and Technical Director, Phil Adderley represented Fine Tubes at the event, which raised money for local charity St Luke’s Hospice. They were joined by three other employees, all of whom were being recognised for their contribution to Fine Tubes. David Cawse, who has been involved with PMG for 20 years and has held the role of Chairman, also received a Special Award in recognition of his work in supporting the Group’s members over that time. David joined Fine Tubes three months ago having previously worked at X-Fab Semiconductors Plymouth and Bombardier Transportation, also in Plymouth. PMG is an informal network of manufacturing companies from across the Plymouth area. In addition to Fine Tubes, the Group’s membership includes several household names, including Wrigley, Kawasaki and Ginsters as well as other major local employers such as Babcock Marine with its 300-year heritage of ship building and repair at the dockyard in Devonport. For Fine Tubes, the PMG membership provides excellent opportunities to share knowledge and experience with other non-competing manufacturers as well as raise its profile as an employer of skilled and talented people living in the Plymouth area as well as working on attracting further manufacturing businesses to Plymouth.